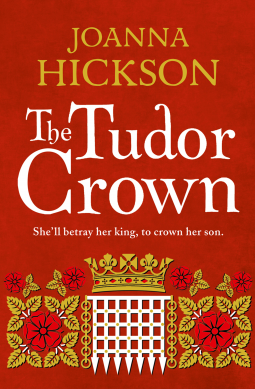 I’m currently reading: The Tudor Crown by Joanna Hickson. I know very little about Henry VII, so I’m thoroughly enjoying reading this book. It begins in 1471 as Henry, then aged 14, and his uncle, Jasper Tudor, the Earl of Pembroke, are at sea off the coast of South Wales on course for France, when a storm forces them to land in Brittany. There they found refuge with Francis, Duke of Brittany for the next 14 years. 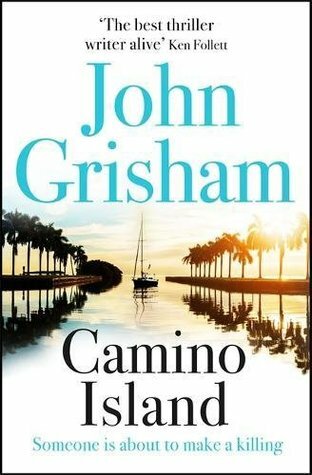 I’ve recently finished: Camino Island by John Grisham, which was not what I expected. It begins well with a daring robbery but then slows down almost to a snail’s pace. Valued at $25 million (though some would say priceless) the five manuscripts of F Scott Fitzgerald’s only novels are amongst the most valuable in the world. After an initial flurry of arrests, both they and the ruthless gang of thieves who took them have vanished without trace. Now it falls to struggling writer Mercer Mann to crack a case that has thwarted the FBI’s finest minds. 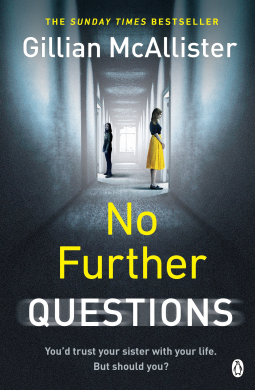 My next book is most likely to be No Further Questions byGillian McAllister. I thought her first book Everything But the Truth was brilliant, so I have high hopes for this book. Margot, I’ll write more about Camino Island, but it’s written in a very different style, sometimes I thought it couldn’t by Grisham! Teri, I did like it, sort of- just wished it wasn’t so slow. I have another of Joanna Hickson’s books on my Kindle waiting to be read, First of the Tudors, so I hope you enjoy The Tudor Crown. I haven’t read that, but I hope to read more of Joan Hickson’s books. No Further Questions looks like my cup of tea. Thanks for sharing…and for visiting my blog. I have a few Grisham novels but have to admit I’ve never opened them. Have you read any others? Do they all slow to a “snail’s pace”? Years ago I read lots of his books – they’re not slow – that is what surprised me so much. No Further Questions would be on my list. I think I saw it on Cleo’s blog yesterday, the day before? Last week? I always think I want to read a lot of historical books, but I never seem to. Ha! Talk about torture?! No Further Questions is so scary I’m not sure I could handle reading that. My sister passed away last year so… It’s so nice to meet you. I look forward to what you think of NFQ. Nice to meet you too! Sorry to hear about your sister – mine too but it was nearly ten years ago, but sometimes it seems like yesterday. I loved No Further Questions so I hope this lives up to your expectations too! I hope so too – and as I finished The Tudor Crown yesterday I can start reading No Further Questions this morning.